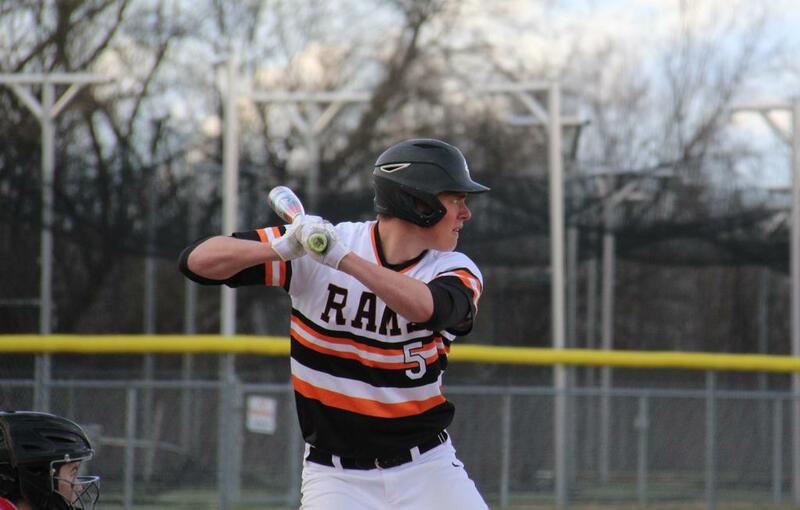 KENTWOOD – A game that started against East Kentwood on Tuesday, April 9, for the varsity Rams ended well Friday, April 12. The game was called due to darkness with the Rams holding a 6-1 lead after four innings. 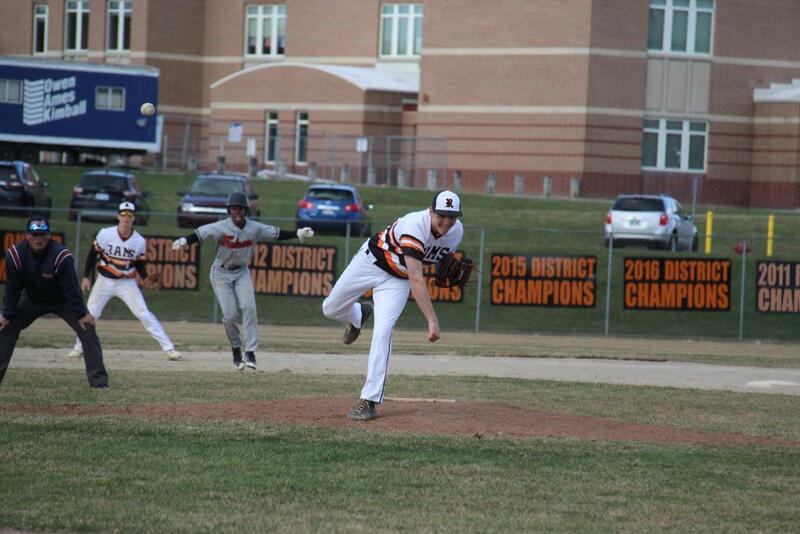 Rockford continued their dominance, claiming the game by a 9-1 score. The game was part of a double header, in which the Rams claimed the first game by a narrow 7-6 margin. The win moves the Rams record to 5-1 on the season. East Kentwood scored a run in the top of the first, and Rockford answered loudly with five runs in the bottom. Owen Cairns and Zach Schamp started it off with singles, and then Joe Kelley slammed a homer on an 0-1 count to right field to plate three runs and give the Rams the 3-1 lead. 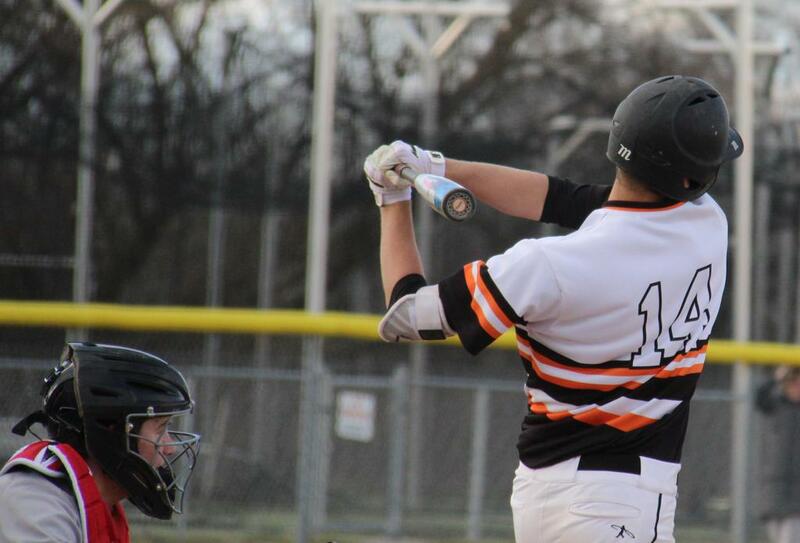 The Rams showed the crowd the inning wasn’t close to being over when Cody Sterkenburg hit a single, and Luke McLean doubled to center field to plate Sterkenburg. Isaac Toole singled to score McLean to move the score to 5-1. 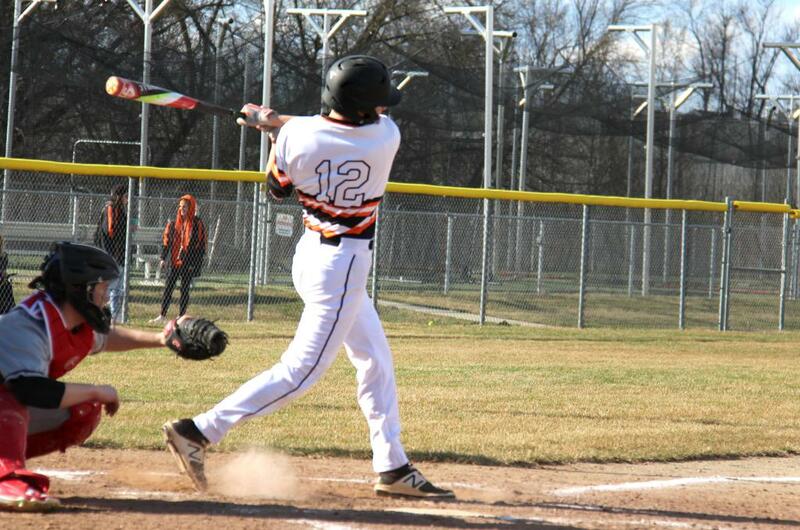 Caleb Engelsman also added a single to the inning’s Ram hit parade. The Rams added another run in the bottom of the second on a McLean double to center field to score Jack Richardson to give the Rams the 6-1 lead. It is where the game was called due to darkness. 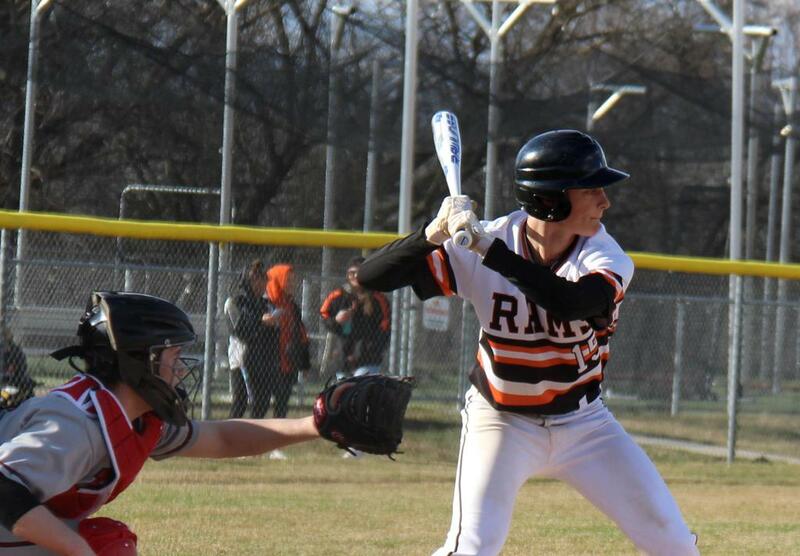 The Rams showed the suspended play didn’t faze them as they added three more runs in the bottom of the fifth, continuing with their hot bats. Jake Engelkes and Grant Martin started the inning with walks, and then Englesman singled to advance the runners. Cairns smashed the ball to center to score Engelkes and move the score to 7-1. Schamp sent a sac fly to center field to score Martin and Engelsman was able to score on an error to close out the inning with a 9-1 Ram lead. Neither team scored in the next two innings to give Rockford the 9-1 victory. The Rams were 12-for-30 at the plate as a team. McLean was 2-for-4 on two doubles with two RBI, Cairns was 2-for-4 with an RBI, and Engelsman was 2-for-3. Isaac Toole was 2-for-2 with an RBI. Kelley’s home run garnered three RBI, and Schamp, Sterkenburg, and Alex Miller each had a hit apiece. Toole started on the mound going four innings, giving up just one run on one hit and four walks, while fanning 10. Grant Martin went three innings in relief, giving up no runs on one hit, while striking out six. The Rams followed this game immediately with another contest against East Kentwood.